Time to get funky! 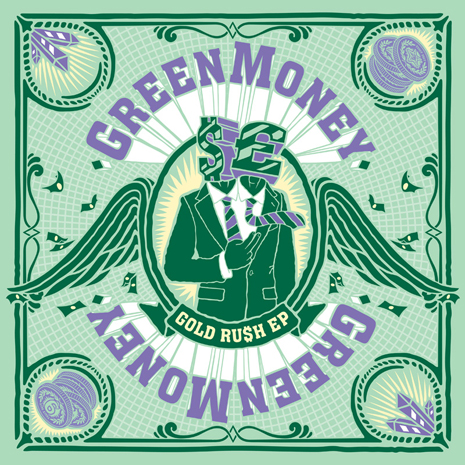 Greenmoney (YoYo resident Leo Greenslade and Bugz In The Attic member Alex Phountzi) make their FG debut with the Gold Ru$h EP, a UK gem featuring guest appearances from Serocee, Mz Bratt and Lady Chann, and crazy remixes by Mele and Karizma. Sleeve by Dust La Rock.